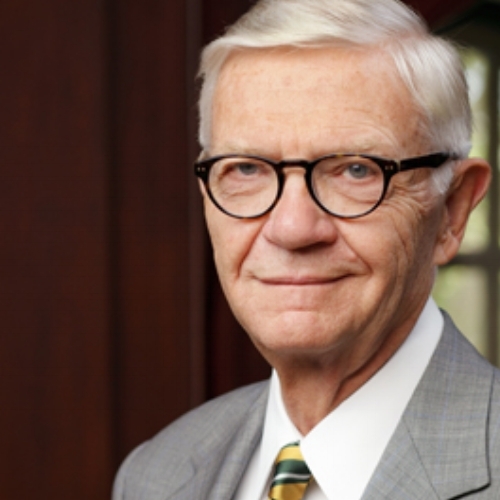 Taylor Reveley is the 27th president of the College of William & Mary. Before assuming his current post, he served as dean of the William & Mary Law School for almost a decade. He is the John Stewart Bryan Professor of Jurisprudence. President Reveley practiced law for many years at Hunton & Williams, where he was Managing Partner and specialized in energy matters, especially those involving commercial nuclear power. He has extensively studied and written about the constitutional division of the war powers between the President and Congress. In 1972-73, he spent 13 months studying the war powers while an International Affairs Fellow of both the Council on Foreign Relations and the Woodrow Wilson Center for Scholars. He is the author of War Powers of the President and Congress: Who Holds the Arrows and Olive Branch? (University of Virginia Press, 1981). President Reveley is a Phi Beta Kappa graduate of Princeton University, where he is a trustee emeritus of the Board. He received his law degree from the University of Virginia. During the United States Supreme Court's 1969 term, he clerked for Justice William J. Brennan, Jr.